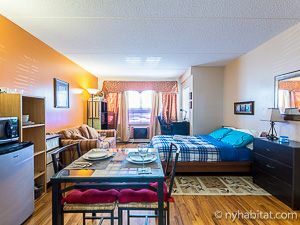 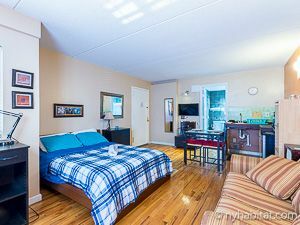 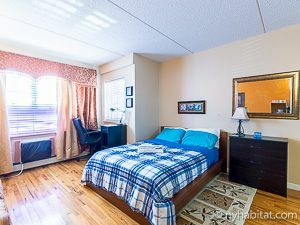 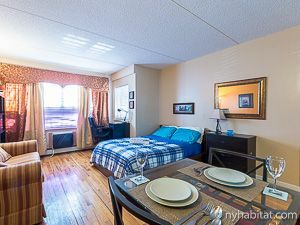 This is our reference NY-17356 Welcome to this studio apartment in the New York City borough of the Bronx. You will find it on the ground floor of a multiple family house, at the corner of Mount Eden Parkway and Topping Avenue. 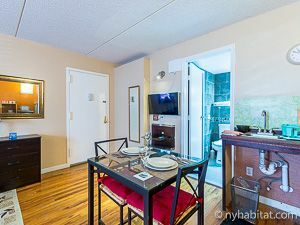 Upon entering this fully furnished rental, find wall-to-wall hardwood floors, contemporary design and natural light. 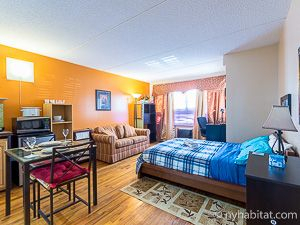 The living area is furnished with a sofa, a television, a desk and a double-sized bed. 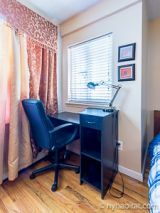 A closet is available for storage space. 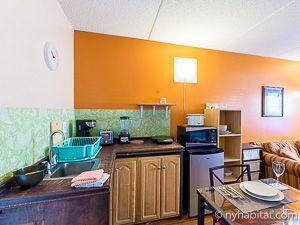 In the corner, a small kitchenette has all you need for light cooking: a fridge, a microwave, an induction cooktop, a toaster, a blender and a coffee machine. 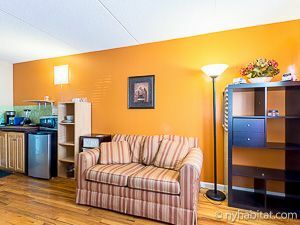 A dining table is installed for dinner at home. 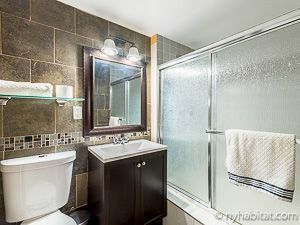 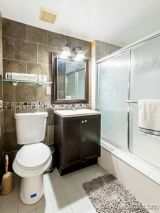 The bathroom features floor-to-ceiling tile, a bathtub with glass doors, a sink and a toilet.